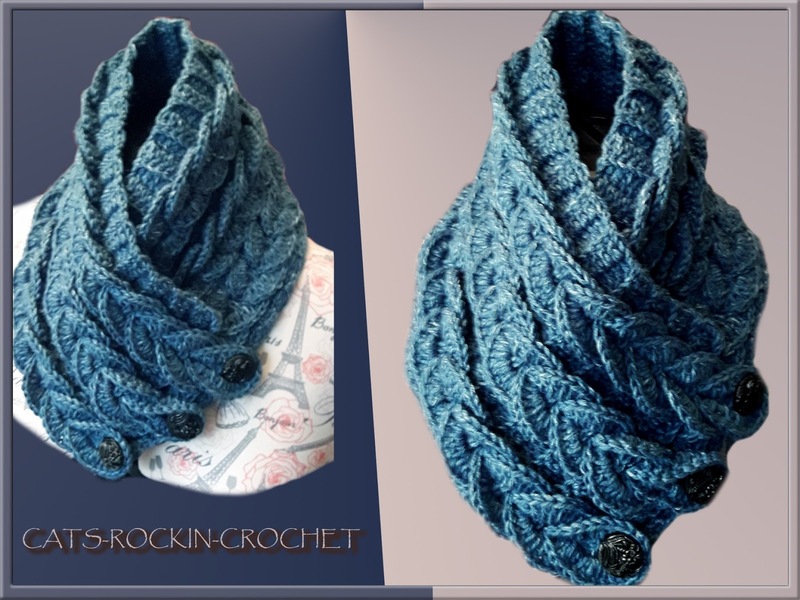 I was so impressed with an image of this braided scarf that I hunted down the source and it came from a you tube video tutorial. 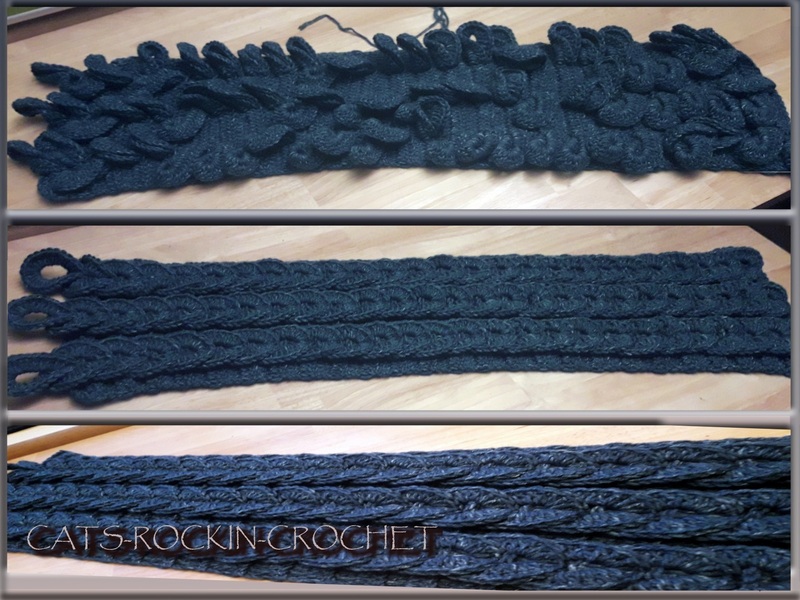 I had the perfect yarn and the perfect recipient, so I got stuck into making it straight away! It took me about 4 or 5 leisurely nights of making it and I thoroughly enjoyed the process right down to the softness of this wonderful yarn. Here's a picture of it finished, before and after braiding the loops. I used almost 2 balls of the jeans yarn. Here's the video tutorial just in case you may want to make one yourself. 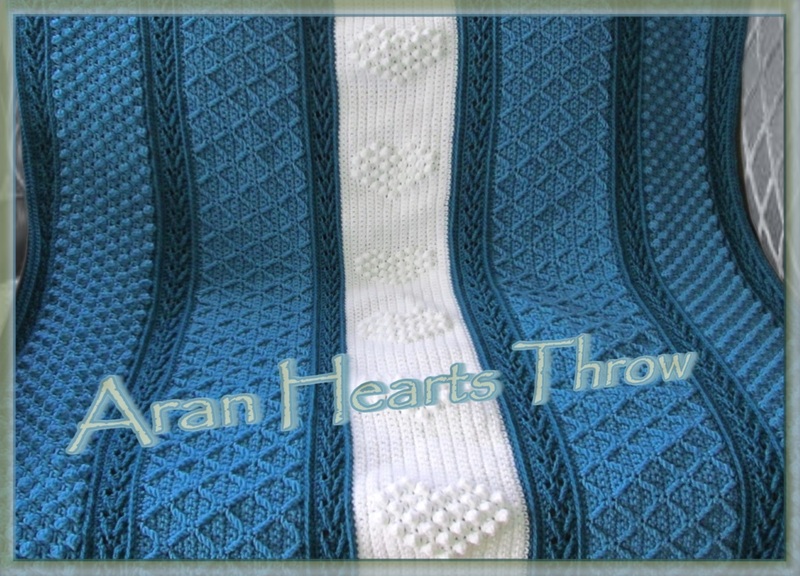 Red Heart yarns, release so many beautiful free patterns. What color will you make?